Imagine hundreds of microcomputers on the width of a strand of hair programmed for specific tasks....in your body. Sound good? 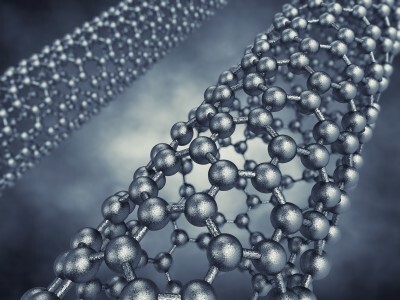 Engineering at a molecular level may be a future corporations' dream come true, however, nano-particlesinside your body have few long-term studies especially when linked to health issues. Despite this new huge income-generating field there is a growing body of toxicological information suggesting that nanotechnology when consumed can cause brain damage (as shown in largemouth bass), and therefore should undergo a full safety assessment. It is possible for nano-particles to slip through the skin, suggestive of a potential unnatural interaction with the immune system, or when micro particles enter the blood-stream. Somesunscreens on the shelf today, for instance, have nano-particles that might be able to penetrate the skin, move between organs, with unknown health effects. Nano-particles in cosmetics have few regulations done by FDA. When lab rats are starved, and given a choice to eat organic potatoes or GMO, they go right to the organic. When only given the GMO potato they will eat it, or starve to death ... (studies have shown severe damage subsequently). What do rats know?